It’s easy to find an endless parade of suggestions, advice, and wisdom telling you how to detox your body to lose weight, but just how much of it is true? There’s always a new and trendy “detox diet” circulating through social media and being flaunted by celebrities, but very few are rooted in correct science or medical principles. 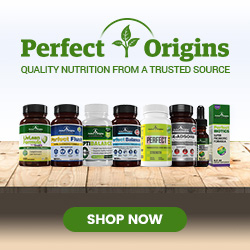 If you want to learn how to detox your body to lose weight, you need to understand exactly how the body functions, the best detox supplements for your body, and what detox strategies deliver real results. A real detoxification uses a blend of herbs, nutrients, juices, supplements, and nutritious foods to enhance your body’s natural detoxification mechanisms. The ultimate goal of a detox is to purge excess toxins from your body. Our daily lives are overwhelmed by the presence of toxins, chemicals, pollutants, and other dangerous waste products that accumulate in the body and wreak havoc. Toxins bury themselves into the smallest nooks and crannies of your inner systems, often hiding for weeks or months and causing symptoms that you struggle to resolve. A detox is designed to improve your body’s ability to remove those toxins efficiently and restore vibrant, unburdened health and wellness. It is often stated that detoxification isn’t necessary because the body can detox itself naturally. This is a half-truth that perpetuates a major (and dangerous!) myth. It’s true that the body undergoes the mechanisms needed to remove toxins and waste: natural detox pathways exist through the liver, sweat, urine, and feces. However, these natural pathways cannot sustain detoxification with the speed or intensity needed to fully address health issues or prevent disease. Detoxification frees your body from the sludge that was slowing it down so that you can experience total rejuvenation and vitality. If the body really did detoxify itself perfectly, then liver disease, environmental cancers, and other health conditions would never occur. The fact that so many diseases affect the general population is proof that the body needs extra support detoxing from the harmful chemicals it absorbs. You constantly feel fatigued and drained of energy. You need to rebound from a vacation of indulging in rich food and alcohol. You are suffering from symptoms like migraines, brain fog, digestive distress, or irritability. You want to cut your sugar cravings. Your skin is dull, oily, or breaking out. Your health hinges on what you put inside your body. If you put garbage into your body, your results will be just as bad. Unhealthy foods create an environment that harbors bacteria, viruses, and parasites. Detoxification frees your body from the sludge that was slowing it down so that you can experience total rejuvenation and vitality. Will a Detox Help You Lose Weight? In addition to improving your overall wellness and removing dangerous toxins from your system, a detox can also help you lose weight the healthy way. A detoxification involves calorie restrictions and grants your body time to rest since food digestion is so energy-intensive. This gives your body the opportunity to redirect the energy normally reserved for food digestion toward other important healing processes. Furthermore, since a detox draws toxins from the body, you will eliminate digestive issues that may have been causing bloating and water retention. You’ll start to feel lighter, more energetic, and revitalized. Wondering how to detox your body to lose weight and enhance your health? Not sure how to squeeze a detox into your already busy life? 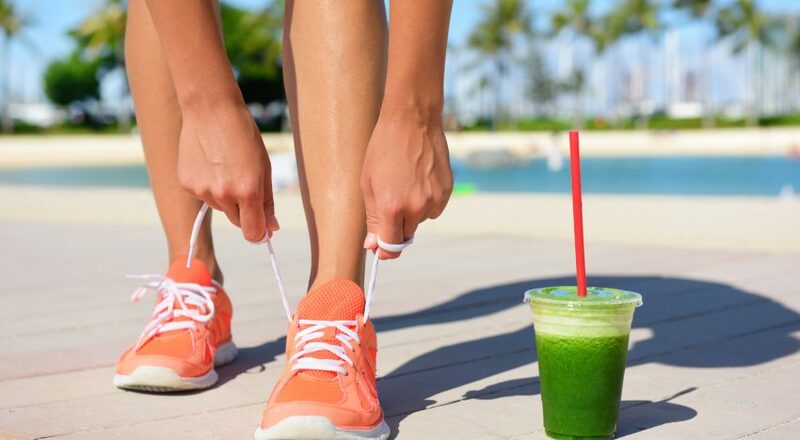 The following detox routine is simple enough to handle yet powerful enough to optimize your body’s natural detoxification functions and drive faster, more dramatic results. You can expect to come out of your detox feeling totally reset and ready to embrace better health. The liver filters blood to remove large toxins. The liver breaks down unwanted chemicals. The liver synthesizes and secretes bile to remove toxins from the body. At any point in the day, your liver is busy detoxifying about a pint of blood. Unfortunately, modern-day foods, habits, and chemicals weaken the liver’s ability to thoroughly detoxify. This is why your own detoxification needs to begin with optimization of liver function. You can do this by fasting intermittently and using a liver detox supplement. Intermittent fasting creates a pattern of eating in cycles. It supports weight loss and detox by forcing the body to break down body fat, use it for energy, and filter out waste. Fasting is also known to reduce oxidative stress and inflammation in the body, two major sources of toxicity-related symptoms. Your liver can’t do it all alone! The best detox supplements, like LivLean, contain selenium, green tea powdered extract, milk thistle extract, turmeric extract, and a variety of other nutrients and botanicals to support liver health and detoxification. Whether you’re putting on extra weight, feeling unusually fatigued, or fighting migraine headaches, the toxins in your body are likely to blame. All you need to do is enhance your liver function with a detox. 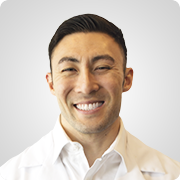 After you use intermittent fasting and LivLean to optimize liver function, it’s time to eliminate all of the sludge that has accumulated in your body. This is best done by purging toxins with a gentle cleanse like Perfect Flush or an extreme cleanse like XC 15. While Perfect Flush creates a mild laxative effect to promote the elimination of waste, XC 15 forces all excess toxins out of your colon. Support your cleanse by eliminating wheat, dairy, high-fructose corn syrup, and other known toxicity culprits from your diet. Replace them with raw fruits and veggies. It’s also recommended to cut meat from your diet during this time since meat proteins are very hard to digest. We live in a fast-paced world, one that is rarely friendly to healthy habits. But even in your day-to-day rush, you know when your body just doesn’t feel right. Whether you’re putting on extra weight, feeling unusually fatigued, or fighting migraine headaches, the toxins in your body are likely to blame. 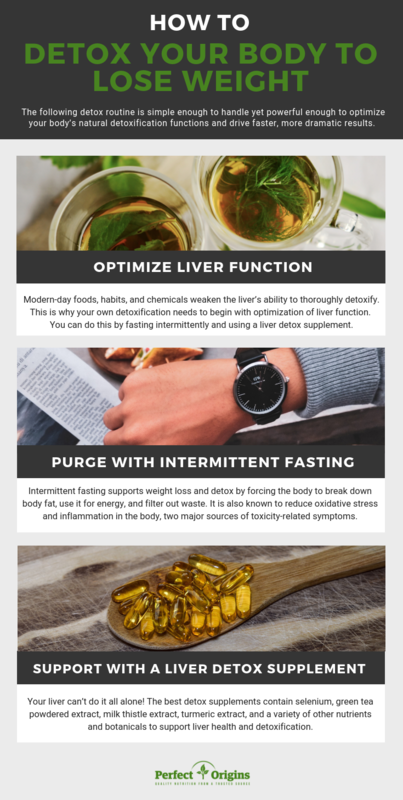 All you need to do is enhance your liver function with the best detox supplements, remove common sources of toxicity, and nourish your body with raw fruits and vegetables. After the initial “withdrawal” phase, your body will feel lighter than you ever knew was possible.